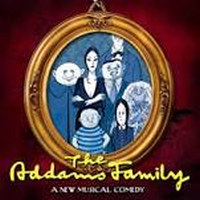 We are excited to announce upcoming auditions for the musical comedy, “The Addams Family.” This show is so much fun and we need great singers and actors to bring it to life! Show dates are May 2-4, 2019. Auditions will be held Monday, March 4th, and Tuesday, March 5th, at 7 pm both nights. You are only required to come to one night, but we are doing things a bit differently for this show. Please click the following link to complete the audition form and submit no later than March 2. Walk-ins are welcome for audition nights, but completing this form in advance will save you time and help make the audition experience smoother for everyone. IMPORTANT AUDITION INFORMATION: You are required to choose one role to audition for and be prepared to sing the corresponding song from the list below (you may be asked to read for other roles during auditions). EVERYONE SHOULD BE PREPARED TO SING "WHEN YOU'RE AN ADDAMS" in addition to the corresponding character song. Music CDs may be picked up in the lobby of New Horizon Theatre the week of Feb. 25th - March 1st, from 6-9 pm OR by calling Bill Nixon at (706) 518-6664 to arrange pick up. Music may also be found on YouTube. No monologue is required for your audition, but you will be asked to read lines from your chosen character. Questions? Contact Bill Nixon at (706) 518-6664. We look forward to seeing you on March 4th or 5th!